I’ve been gluten free for more than a year. Even though gluten is all over the media, most people that I’ve talked to know almost nothing about it. It seems I always get asked the same four questions: 1) What IS gluten, anyway? Gluten is a protein found in wheat, barely, and rye. I can’t eat foods made with any of those. Wait! That means no flour – and no beer! So, (2) what CAN you eat? Fruits, vegetable, meats, dairy products, and all the other grains. While it’s overwhelming at first (especially if, like me, cupcakes – I mean bread – is a MAJOR food group for you), it’s not as limiting as you might think. Grains are the trickiest. Oatmeal, for example, is naturally gluten-free. However, it is many times processed on the same equipment as wheat, so unless it’s marked ‘gluten free’, it will probably make me sick. Luckily, with all the media attention it’s been getting, there are many, many gluten-free products available. Put simply, when you cut out gluten, you are left with basic, healthy foods your mom always told you to eat. 3) What happens if you eat it? Well, short-term, I get a headache, my body feels achy, I get tired. Basic, flu-like symptoms, Then, depending on how much I’ve eaten, I become violently sick to my stomach. Even a little will give me diarrhea, but a lot will make me throw up. It’s not fun. 4) How did you find out you were allergic to it? Actually, technically, I still haven’t had that medically proven. The only way doctors will acknowledge that a person suffers from celiac disease is by looking into their intestines to check for intestinal damage. I have not had that procedure done. I have talked to my doctors about it, and we have agreed that it is not necessary. My entire life, I have had strange, seemingly-unrelated medical issues. – I’ve always been very skinny, and have had trouble putting on – and keeping on – weight. If I got even a head cold, I would lose 5 pounds. – I have always had a sensitive stomach. I used to throw up several times every month – and that was normal for me. In fact, when I was 17, the doctors diagnosed me with a stomach ulcer. – When I was 11, I started showing signs of asthma. At first, I was diagnosed with walking pneumonia and bronchitis several times. Then it was changed to asthma. Then the doctors changed their minds again and decided it was chronic bronchitis (which is a branch of COPD – chronic obstructive pulmonary disease). Essentially, I couldn’t breathe and had a horrible cough for 6 months out of the year. – At age 18, I began to suffer from terrible migraines. They would last for days. I would vomit from pain. Sometimes I was unable to keep even water down. I passed out a few times from pain, finding myself at the bottom of staircases or the shower. I saw the chiropractor and the doctor, but no one could find out what was wrong. I was prescribed strong painkillers, but sometimes even those didn’t work. In those cases, the doctor would have to give me a shot for the pain. Then I moved to Sweden. Slowly, my stomach problems and migraines got worse. I was sick every week, then several times a week, and finally I was sick to my stomach every single day. We couldn’t figure out what was wrong. I had no energy. I slept all the time. I never felt well. I was constantly drinking water, afraid of becoming dehydrated. My skin was pale and broken out. My hair was dull and limp. I was doing everything I knew how to get well, eating as healthy as I knew how. Then, one day, some of my parent’s friends came to visit us in Sweden. One of them told me that my symptoms sounded like celiac disease. 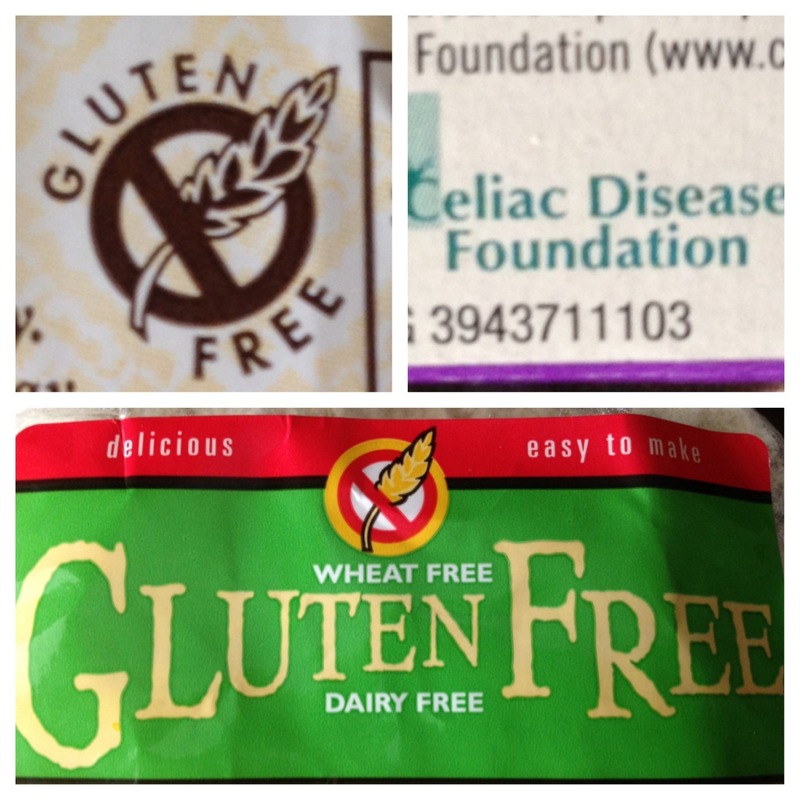 Desperate for answers, I researched celiac and stopped eating gluten that very day. I started a food log, writing down every single thing I ate or drank and how my body reacted. After 30 days without being sick, I tried to eat gluten again, just a small amount. I was sick for a week. It became clear that it was the gluten that was upsetting my stomach, but after I had been off of gluten for about 3 months, I noticed other things beginning to change. My skin cleared and my color came back. My hair became shiny and happy. My migraines disappeared. I haven’t had trouble breathing or a single case of bronchitis. I put on 15 pounds. I had more energy. I went from sleeping 12-14 hours a day, to 7-8 hours.